CBSE NET Final Answer Keys for NET Dec 2014 exam held on 28.12.14 can be downloaded/seen here. CBSE conducted UGC NET DEC 2014 Exam on 28 December 2014 in 79 subjects at 87 selected NET Coordinating Institutions spread across the country. CBSE declared Result of UGC NET DEC 2014 on 15.06.2015. Final & Official Answer Keys of CBSE NET 28 Dec 2014 Exam have been published by CBSE. As CBSE has uploaded the Final Answer Keys on 12.06.2015, you can get Final Answer Keys at www.teachmatters.in. 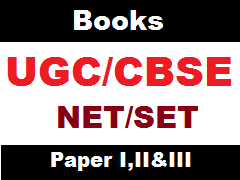 Answer Keys of UGC NET DEC 2014 published here are final. Candidates were advised to wait for Final Answer Keys of NET DEC 2014 Exam which have been published by CBSE. Visit this page regularly for Updated Official & Final Answer Keys of NET Dec 2014 Exam. mere first papr me 20 questions sahi h or 2nd papr me 23 or 3rd papr me 42 sahi h.
I m general female n my subject for net is history. I got 208 marks out of 350 on NET DEC 2014, I am SC Category, can I qualify for NET? Happy and Bikas, you have qualified minimum criteria for NET, but Result will be depend on cut-off marks of your subjects. Please post English question paper 2 and 3 of Net Dec 2014.I will be highly obliged for the same.Thanks. Ritu, we will try to provide both question papers of English with solved questions as soon as possible. Cbse ugc net december 2014 ka result kb tk aayega? Please provide me with question paper 2 and 3 of dec 2014 for Tourism management. Many thanks in advance.